Jonathan Trott the Warwickshire Bears batsman is eager to get back in Englands team! Trott scored 524 first-class runs in eight County Championship matches this summer, at an average of 40.30, making two centuries and one fifty. The Warwickshire batsman, originally from Cape Town, wishes to resume his international career, 10 months since his last appearance for England, due to a stress-related condition during the 2013 winter Ashes. Englands latest batch list last week of central contracts did not include Trott. He will return to the home of cricket when he plays against Durham in tomorrows final, with another game against Durham to follow, which must be won to remain second. Gary Ballance has for the short-term established himself in the number three position in England's Test side, however this is not his personal ambition to maintain. 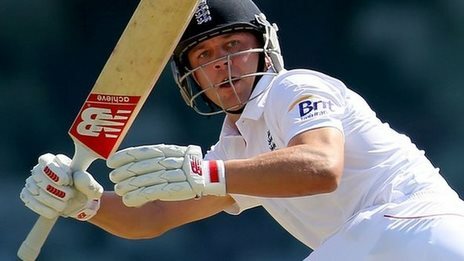 Warwickshire's Jonathan Trott believes he is ready to resume his England career, 10 months after he quit the Ashes tour. Do you think Jonathan Trott will succeed and be reunited with Englands cricket team...or remain a county player? He stated how much he has been enjoying his cricket, and how it was "great going back to Warwickshire", however will returning to Englands team place him under too much pressure? Is he set to win future cricket trophies and re-establish his England career? Does your local batsman deserve a premium cricket trophy this season? Browse our extensive range with free engraving today! Please leave your views below, or any questions may have about our cricket trophy range.